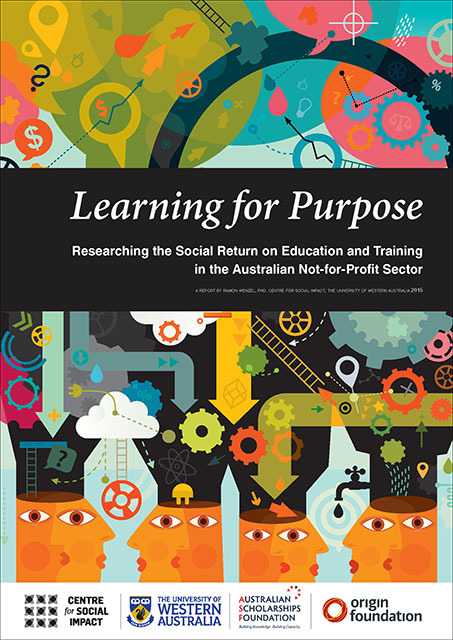 This report provides the first national documentation of the state of training and professional development in the Australian Not-for-Profit sector, it summarises the findings of the Social Return on Education and Training studies conducted 2012 – 2015: How Australian Not-for-Profit organisations develop their people, the consequences of their efforts, and what might be holding them back. Training and professional development are key tools for strategically enhancing the leadership and technical competence of any workforce. Decades of research show that formal learning experiences that are well aligned, designed, delivered, and applied do improve individual and organisational performance. Indeed, the development of human capital is globally heralded as fundamental to individual, organisational, and societal sustainability and progress. Yet, the continuous and professional development of leaders, managers, directors, employees, and volunteers is repetitively admonished for its absence in the Not-for-Profit sector. 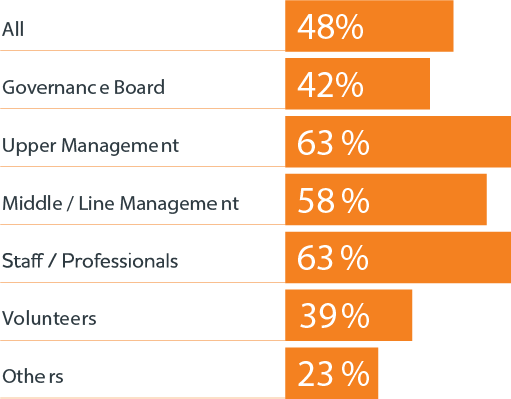 Training intensity is highly variable across organisational size, job role and sub-sector. Seven key findings are derived from multiple studies that demonstrate that professional development really works for the Australian Not-for-Profit sector. That is, developing NFP employees and volunteers has multiple positive effects for the individuals, the organisations, and the purposes they serve. Investment in training and development can bring economic benefits and long-term viability. It’s not about making NFP employees and volunteers work harder, but smarter. Development intensity is highly variable for different sizes and types of NFP organisations and for different organisational members. There is a large spectrum of available professional development activities and it is employed with varying intensity. In some configurations, there may be very little exposure to professional development. Members of governance boards, volunteers, and small NFP organisations generally appear more particularly challenged to realise training. 2. NFP organisations that systematically develop their people do better. 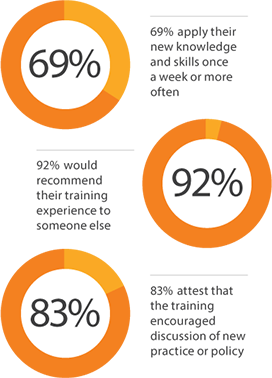 Data from 697 Australian NFP organisations shows that a rise in competence and capability flows on to the creation of social impact. 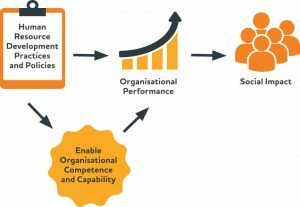 Namely, those organisations that align and systematically facilitate the development of their human resources, achieve greater organisational competence and capability, and thus their performance. This subsequently positively affects the creation of social impact. 3. Training for NFP key competencies works. New evidence shows a set of professional development activities addressing NFP governance, strategic leadership, and impact evaluation was found to have systematic, positive effects on those trained. They gain greater role clarity, competence knowledge and self-confidence that facilitate better decisions and behaviours at work. 4. Training NFP key competencies leads to multiple positive outcomes. Powerful narratives illustrate how professional development experiences favourably affect the knowledge, skills and abilities of NFP workers. Rich data shows that training NFP workers facilitates better leadership, saved funds, superior performance, and greater well-being, which in turn enhances organisational viability and social change. 5. Training can deliver positive economic returns. Exemplary cost-benefit estimation for a NFP governance training scheme suggests an economic impact factor of +6. For each dollar spent on the capacity building, there appears to be an average positive return of about six dollars that can be attributed to the training and the resulting behaviours, decisions and flow on effects. 6. The lack of money and time prevent needed professional development opportunities. 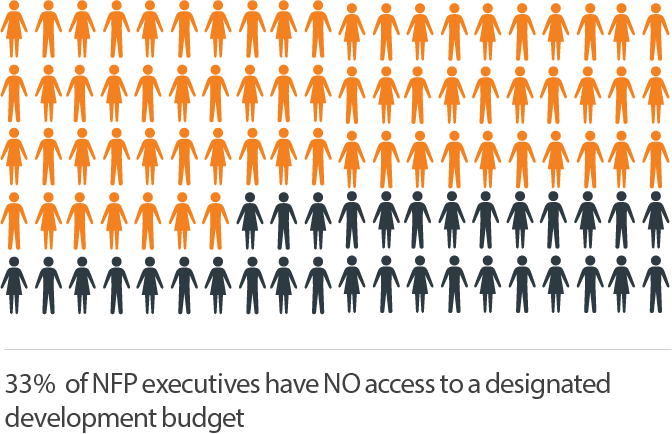 Insufficient financial and structural support prevents the Australian NFP sector and its people from engaging with more professional development. Smaller NFP organisations appear particularly prone to financial challenges, while larger NFPs are challenged by time and support required to offer training. 7. The needs for developing NFP key competencies vary considerably. There is a need for increased leadership development and strategic competence across the Australian NFP sector to ensure mission success. Certain sub-sectors and organisational features demand specific attention. A larger, national study must generate more granular data to inform policy makers, training providers, funders and other NFP stakeholders. Training and professional development offer great upside potential to enhance the capacity of NFP organisations, so they can even better address the growing societal and economic challenges. Professional development is not accidental. If it is well aligned and implemented it is a strategic and central element that every Australian NFP organisation must realise to achieve social change. The message is: it cannot be postponed. There are a number of steps NFP organisations can undertake to accelerate workforce development: make it a priority, ask for designated funding, change the public conversation, utilise scholarly research and evidence, and ensure it is well aligned, implemented, and evaluated. Supporters of the NFP sector must recognise the value of training by allocating designated workforce development funding, promote specific capacity building schemes, and encourage more optimal use of non-monetary resources. Scholars can support and shape the NFP sector by defining key competencies, measure learning needs, improve understanding about learning forms and support mechanisms, evaluate different learning activities andtheir providers, and help NFP stakeholders to understand each other better. Consequently, all stakeholders of the Australian NFP sector – particularly funders, organisational leaders, human resource managers, public institutions, and scholars – are invited to propose further research topics, offer collaboration opportunities, make themselves available for data collection, and help realise the crucial financial and personnel resources required for sound research that facilitates NFP workforce development.